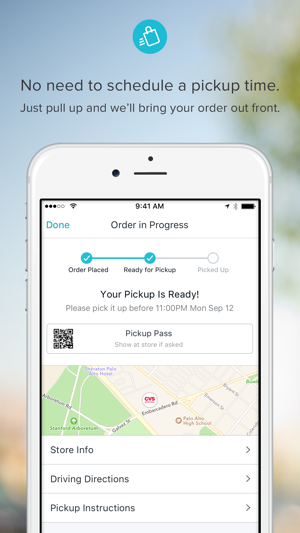 Curbside pickup is a convenient new way to shop at nearby stores. 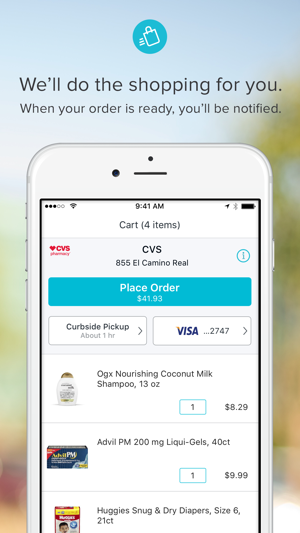 Just order from your favorite stores like CVS, Sephora, Levi’s, Lush, Lego Store, and more through the Curbside app, and pick up your order in front of the store in about an hour. Say goodbye to long lines and parking hassles. Let us do the shopping for you, and we’ll meet you at your car with your order when you arrive. Best of all...it’s completely free, with no price markups or additional fees! “This is an ideal dream service for moms who dread dragging kids in and out of cars and stores running errands.” - Betty N.
Curbside is available at hundreds of CVS locations across Northern California, Atlanta Metropolitan Area, and the Greater Charlotte Metro Area, select Shopping Centers, Sephora, Levi's and more. 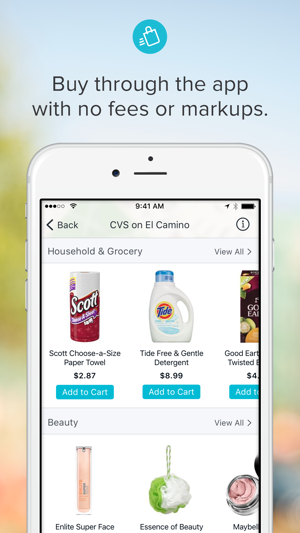 Check the app to find stores near you. Have a question or feedback? We’d love to hear from you at help@shopcurbside.com. Battery Disclaimer : "Continued use of GPS running in the background can dramatically decrease battery life." 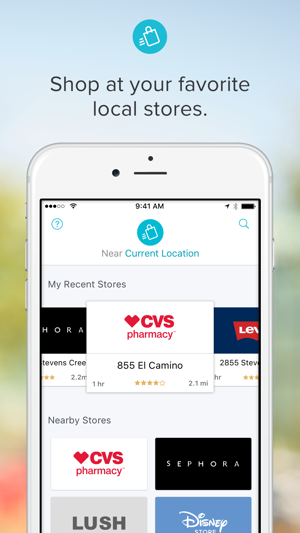 This app offers only one store: CVS, which I refuse to shop at because my sister worked for them until she all of a sudden got really sick. It turned out to be a chronic illness which she needed to apply for disability and modified work. CVS denied her the modified work and fired her, saying she was replaceable and they would get away with it because they're a huge corporation and they were going to cover their tracks by writing her up a few times for different dates even though she never did anything wrong. She took it to their district and regional mgr. 's plus HR and they all ignored her. If curbside drops CVS and adds stores that actually care about people instead of treating them worse than trash, I'll gladly change my review. The associate at my local CVS was polite and the pickup was smooth. The order was ready in less time than promised and got the notification to pick it up. I was in and out in no time. Great app to have when you’re in a hurry and don’t have time to go in the store. Very convenient.